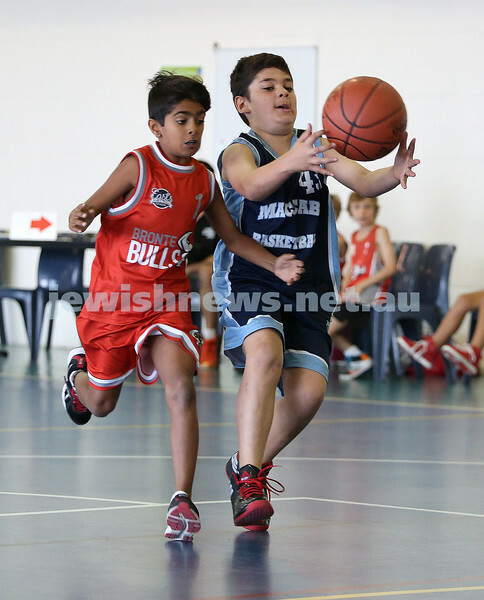 Maccabi Jets under 10 boys basketball team defeated the Bronte Bulls 18-12 at Waverley. Joel Rusanow dribbles past 2 players. 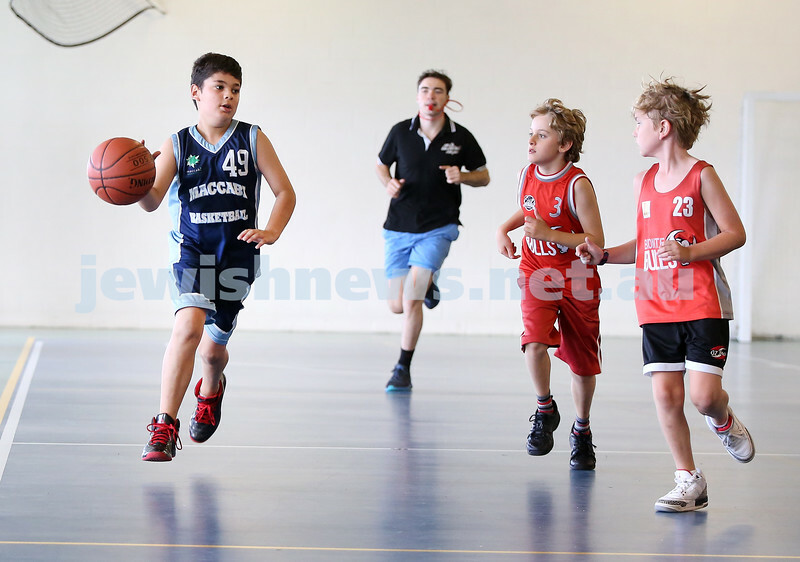 Maccabi Jets under 10 boys basketball team defeated the Bronte Bulls 18-12 at Waverley. Team pic with coach Oren Stern. Noah Aizenstros, Levi Jacobs, Adiel Goldberg, Ben Todes, Robbie Kaplan, Joel Rusanow, Toby Akres, Tim Dunkel. 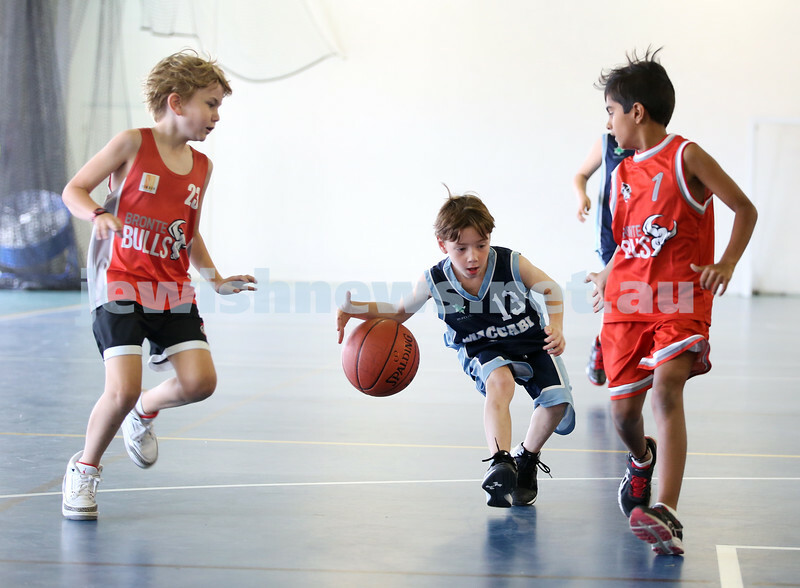 Maccabi Jets under 10 boys basketball team defeated the Bronte Bulls 18-12 at Waverley. Joel Rusanow runs with the ball followed by Adiel Goldberg and Robbie Kaplan. 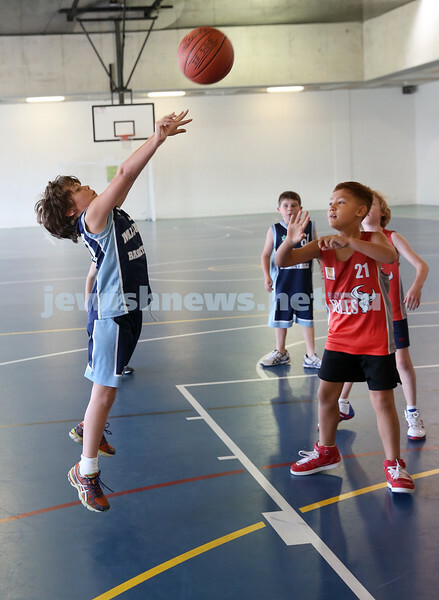 Maccabi Jets under 10 boys basketball team defeated the Bronte Bulls 18-12 at Waverley. Adiel Goldberg grapples the ball. 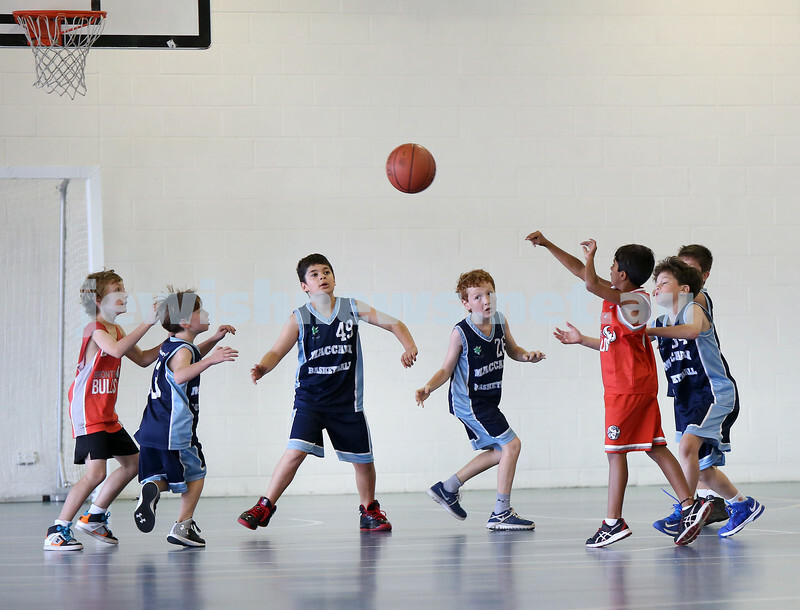 Maccabi Jets under 10 boys basketball team defeated the Bronte Bulls 18-12 at Waverley. Robbie Kaplan races past a Bulls player. 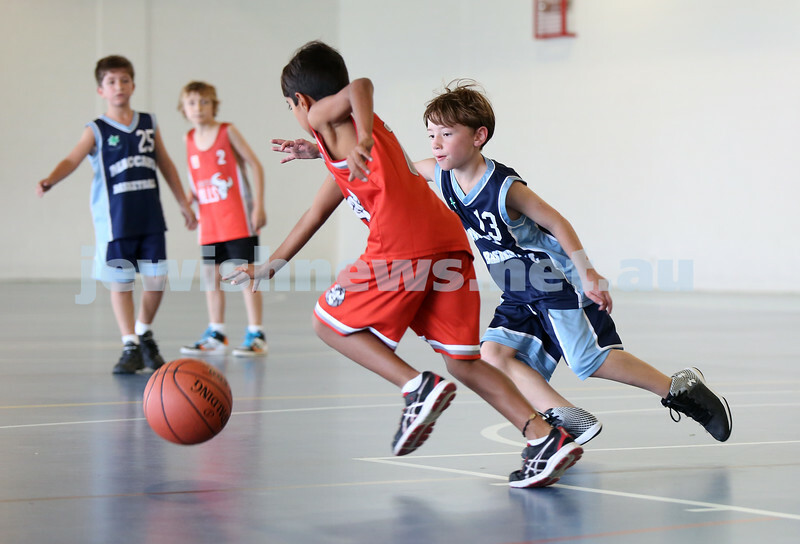 Maccabi Jets under 10 boys basketball team defeated the Bronte Bulls 18-12 at Waverley. Adiel Goldberg powers down the court towards the basket. 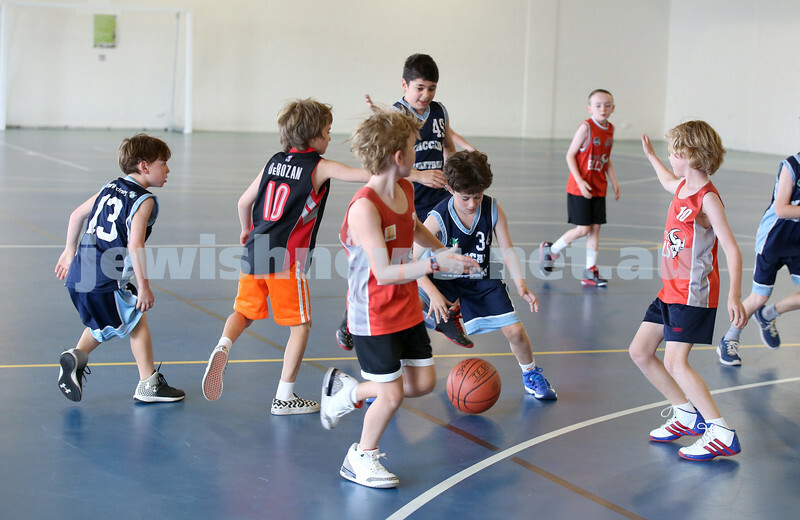 Maccabi Jets under 10 boys basketball team defeated the Bronte Bulls 18-12 at Waverley. Adiel Goldberg & Levi Jacobs go for a rebound. 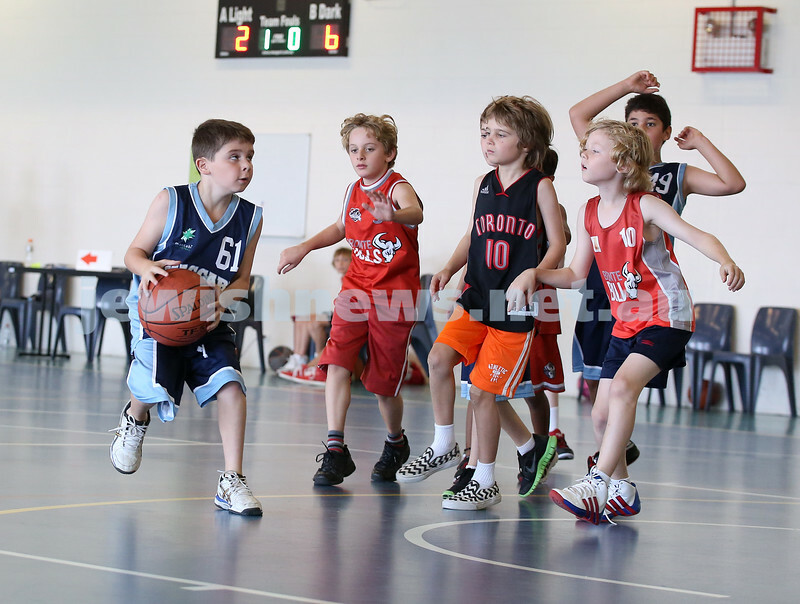 Maccabi Jets under 10 boys basketball team defeated the Bronte Bulls 18-12 at Waverley. Adiel Goldberg races towards the basket followed by Noah Aizenstros (R). 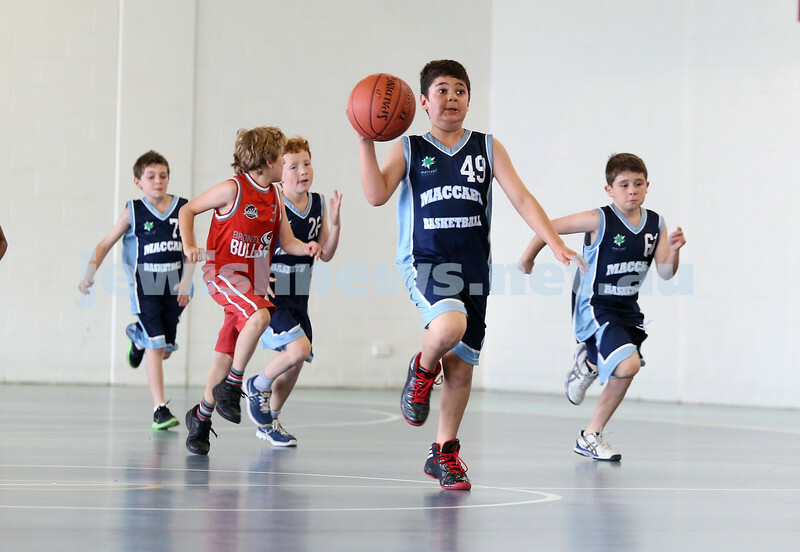 Maccabi Jets under 10 boys basketball team defeated the Bronte Bulls 18-12 at Waverley. Joel Rusanow blocks an opponent. 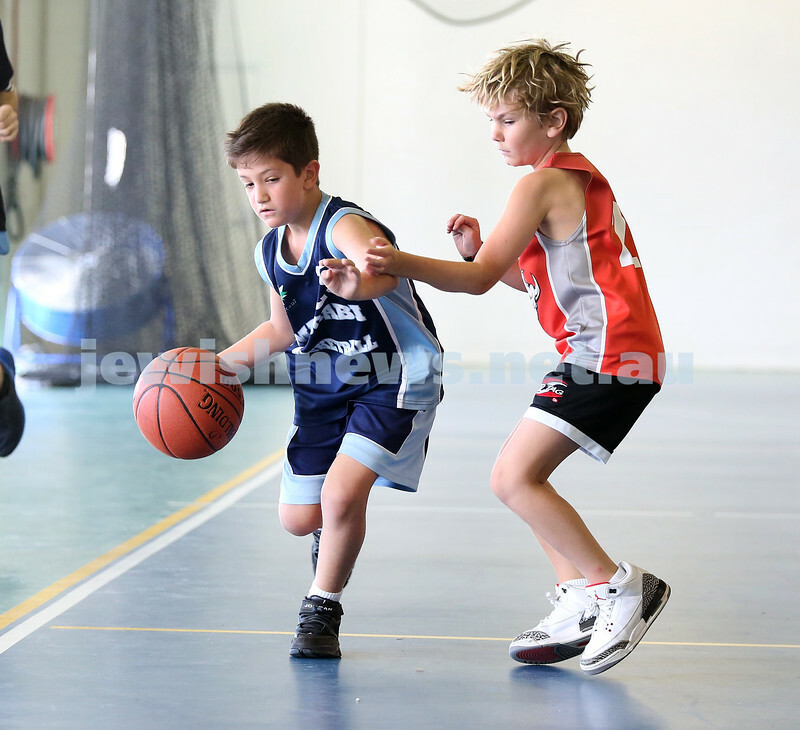 Maccabi Jets under 10 boys basketball team defeated the Bronte Bulls 18-12 at Waverley. Noah Aizenstros with the ball. 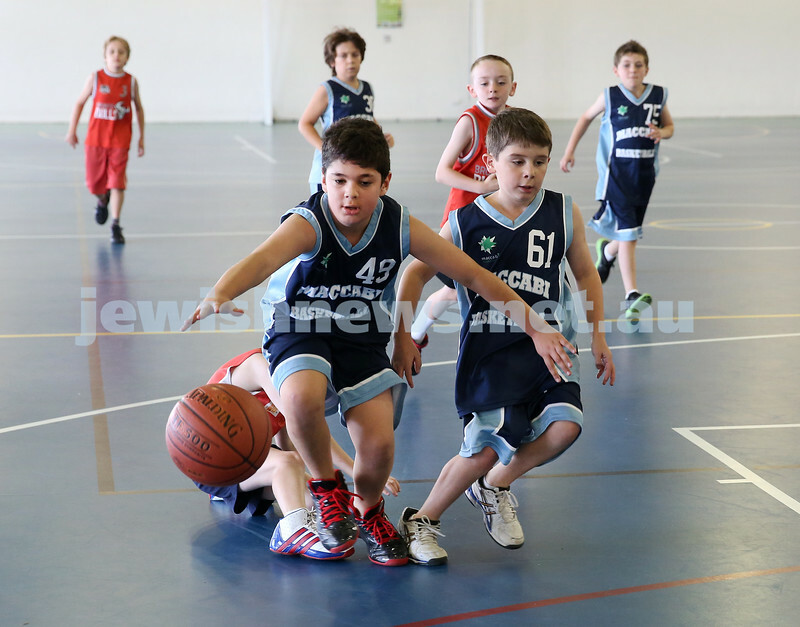 Maccabi Jets under 10 boys basketball team defeated the Bronte Bulls 18-12 at Waverley. Noah Aizenstros about to take a shot at basket. 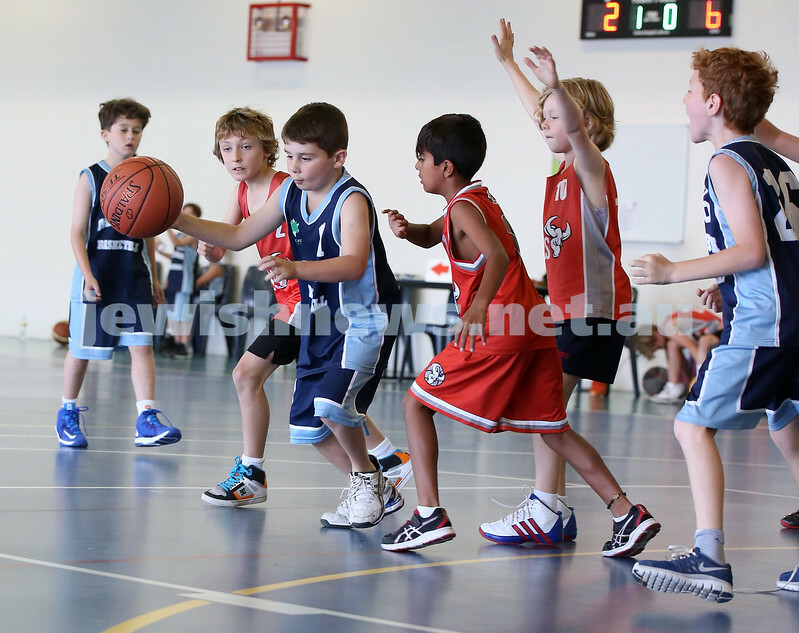 Maccabi Jets under 10 boys basketball team defeated the Bronte Bulls 18-12 at Waverley. Toby Akres defends. 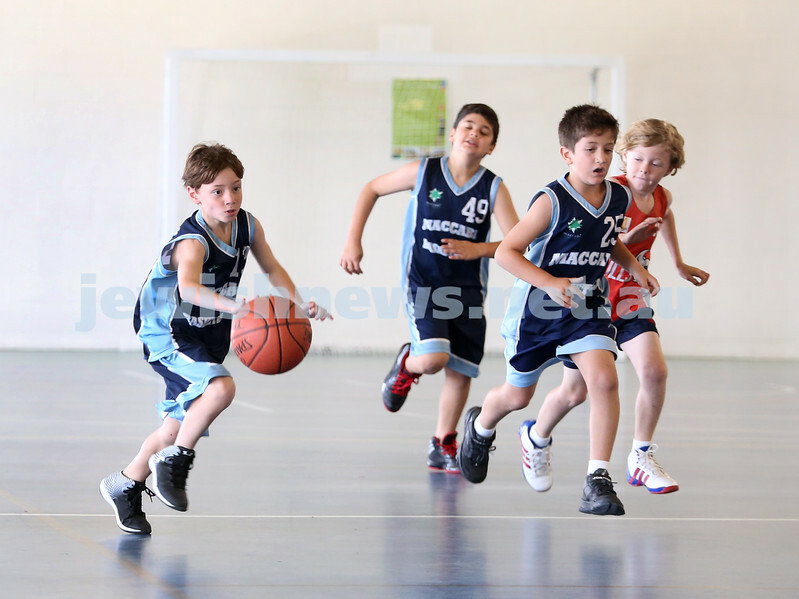 Maccabi Jets under 10 boys basketball team defeated the Bronte Bulls 18-12 at Waverley. Adiel Goldberg and Noah Aizenstros go for the ball. 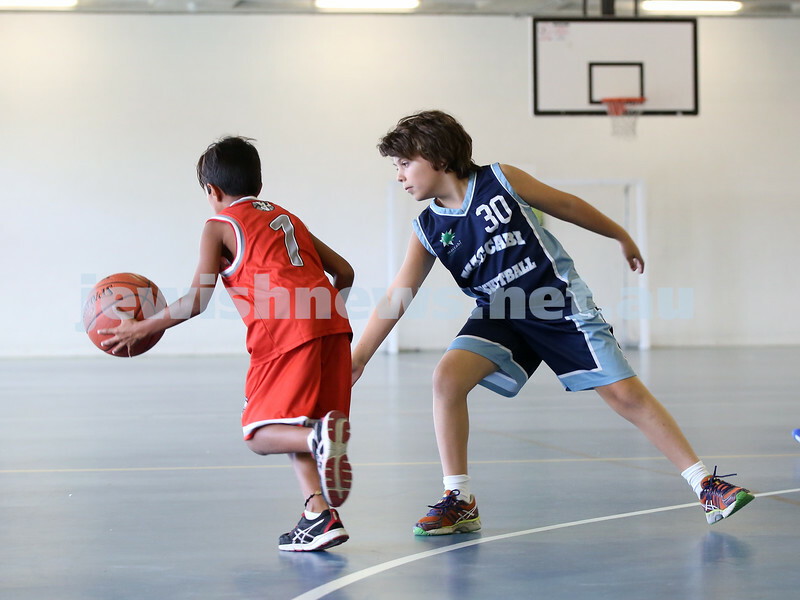 Maccabi Jets under 10 boys basketball team defeated the Bronte Bulls 18-12 at Waverley. Toby Akres shoots a basket. 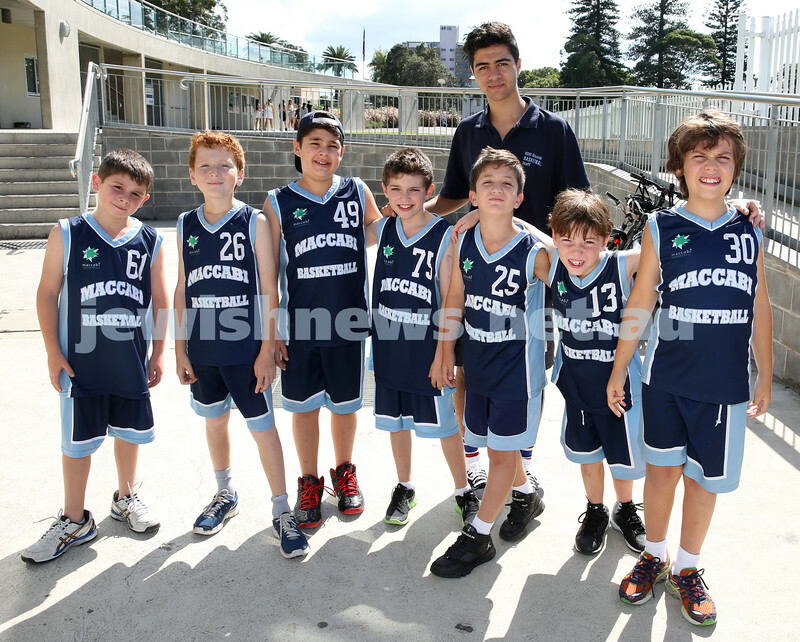 Maccabi Jets under 10 boys basketball team defeated the Bronte Bulls 18-12 at Waverley. Tim Dunkel about to grab the ball.